Note: The Mead Appreciation Meeting will usually be held on the 3rd Thursday of every second month. In our first meeting we went over modern-mead basics, then in the second meeting we made a mead together (Jasmine Green Tea Mead), now let’s taste it! At our next meeting feedback from those will also be presented and compared. Come along and taste the mead we made together, and make up your own mind. Please bring along some of your own meads too. If you keep bees and extract honey making mead is the perfect answer for making use of some of the extra honey your bees produce. 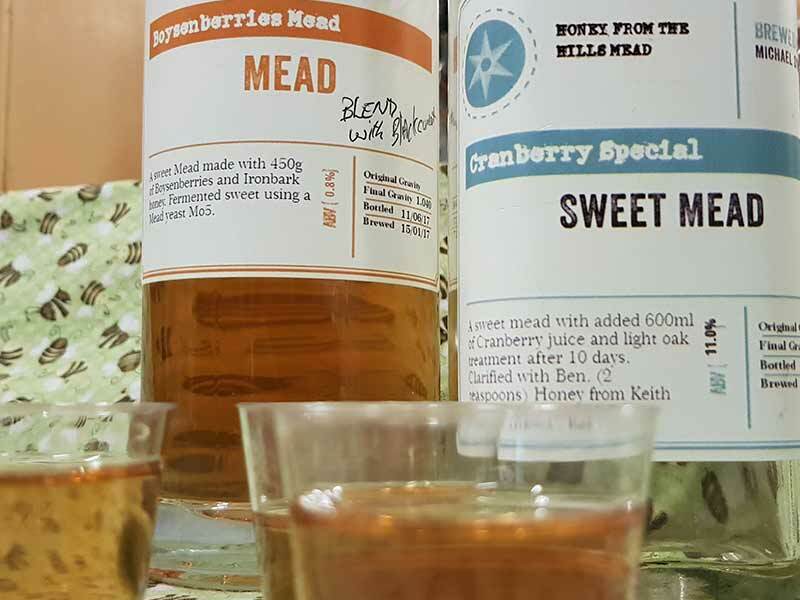 Come along and ask the mead makers and questions you have and share your experiences and mead with other participants. These meetings are currently scheduled to be held every couple of months depending on the numbers attending. If you’d like to attend or have any questions please email Matt Reed below.